Did you say roast goose? That was the only thing on my mind. Could it be for real? I had doubts. Having the opportunity to travel, I had the luck to try out this delicacy. For most of us, it would be from a restaurant in Hong Kong. Thankfully, we could have it in Manila. No need to go out of the country. It's now available in MARRIOT HOTEL'S MANHO. 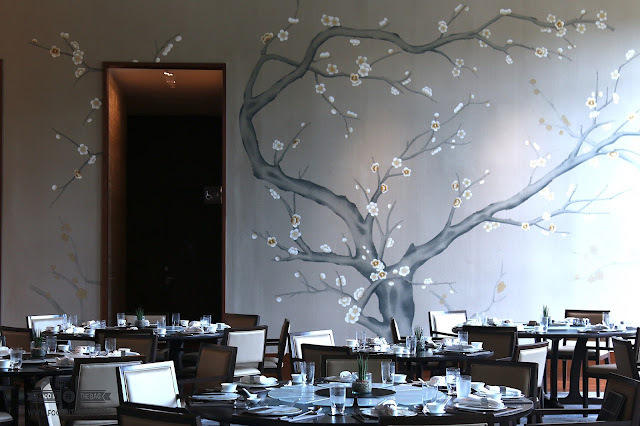 Located on the ground floor of the Marriot Hotel's new West Wing, MANHO is a quaint and unassuming Chinese Restaurant. High ceilings and a golf course view, you get to enjoy a lovely lunch or dinner with your loved ones. 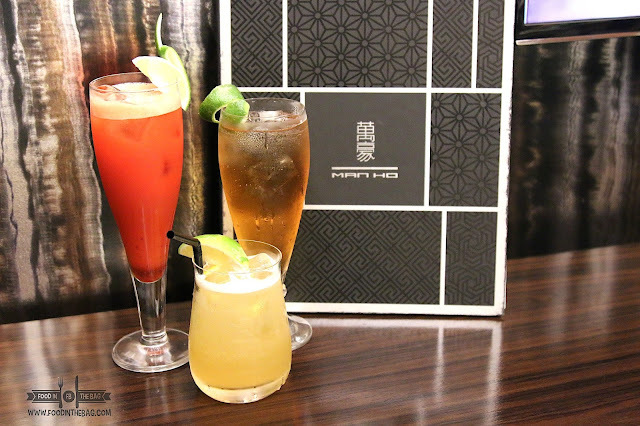 Drinks are perfectly curated for you. Each is refreshing and just right for the weather. 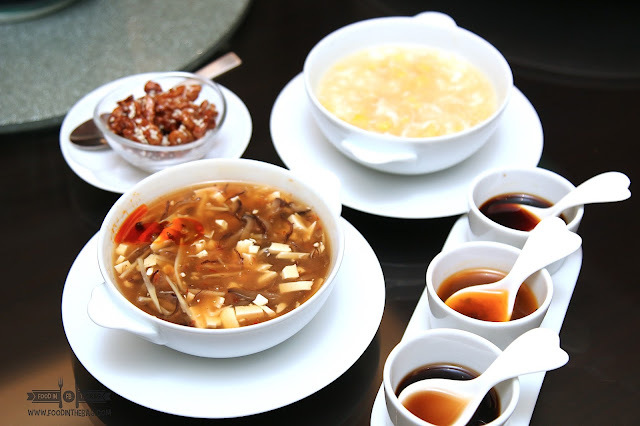 Starting off with soup, one could try out MANHO's version of the crab meat soup with sweet corn or even the hot and sour soup with seafood. 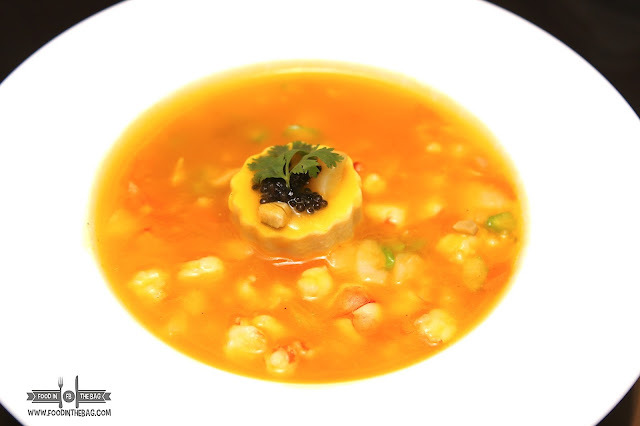 For something different, the braised seafood soup with caviar would do the trick. With hints of pumpkin, it deals a nice combination with the seafood. Somewhat interesting would be the marinated suckling pork leg. This simple looking dish should not be judge by its looks. One bite and you realize that the flavors are there and it's quite interesting and delicious. 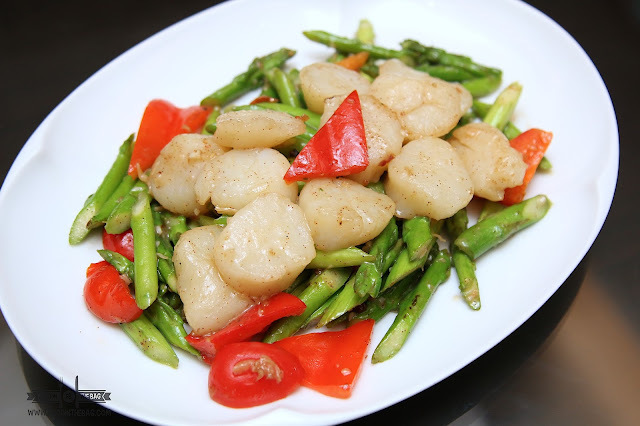 The Scallops and asparagus in xo sauce might make your mouth drool with delight. You get to munch on fresh scallops partnered with asparagus. 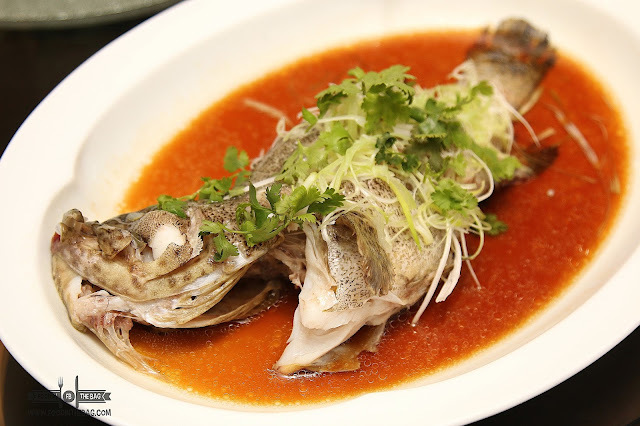 If that's not enough the steamed live green grouper with light soy sauce would make you fall in love with MANHO even more. They weren't kidding when they said light. The sauce wasn't overpowering rather, it assisted the fish. 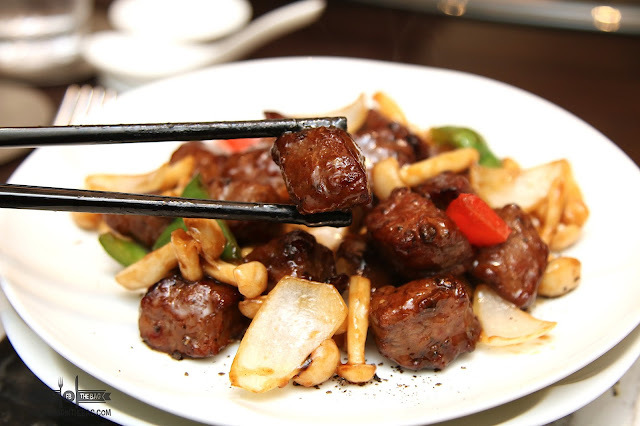 Meat lovers need not worry as there are also a number of dishes that you could also try out that aren't necessarily seafood. One of them would be the BEEF FILLET with BLACK PEPPER SAUCE. These are like your steak cubes. 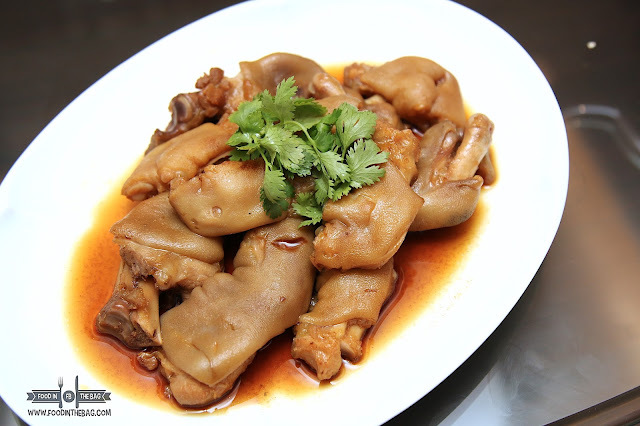 I believe they used a high quality type of meat to create this tender and juicy dish. 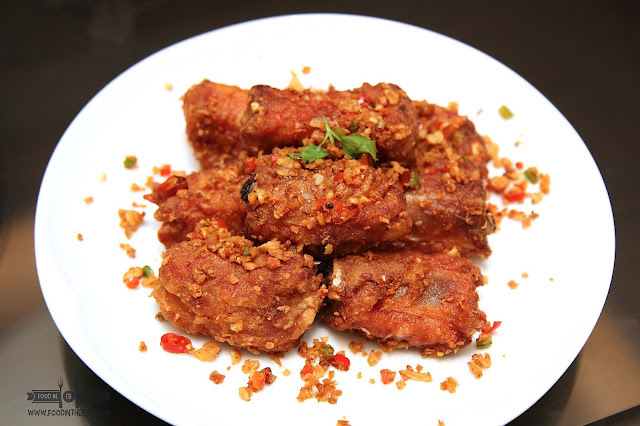 The Pork Ribs is also another must try dish. The Spicy salt that came with it gave it another dimension. This is the type of food that would taste better if you eat it with your fingers. 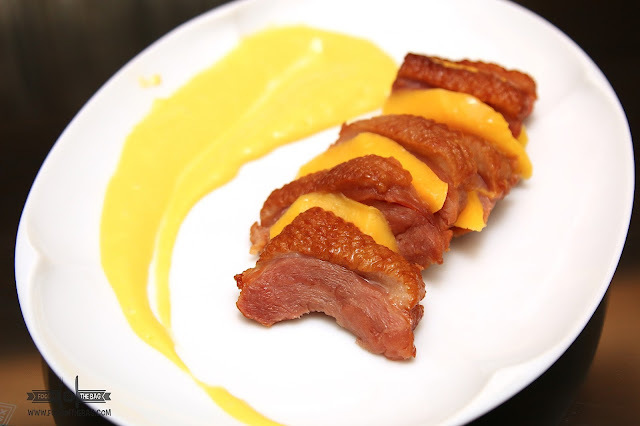 Having a deep flavor, the SMOKED duck breast with mango awakens your taste buds. The smokiness works well with the sweet mango. 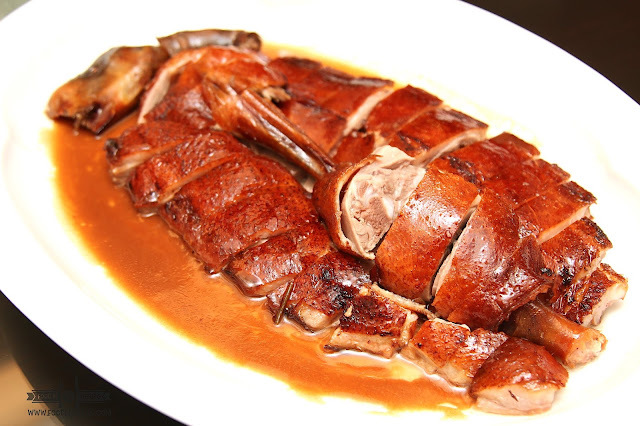 Treated more as a starter, the ROASTED GOOSE, for me, is the main star of the show. It is only at MARRIOT'S MANHO that this is served within the metro. I have not experienced this dish within the Philippines except for MANHO. The skin is crispy and has the perfect ratio of fat to meat. With a cup of plain rice, and the sauces on the side, you get to have the perfect meal. Dessert is not a problem at MANHO. 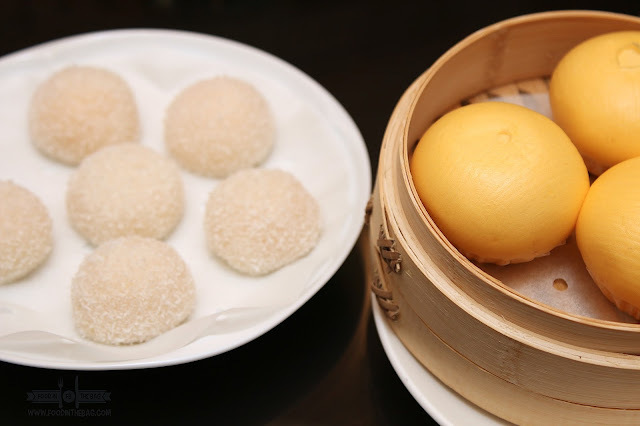 Best sellers would include the coconut mochi and the steamed custard buns. 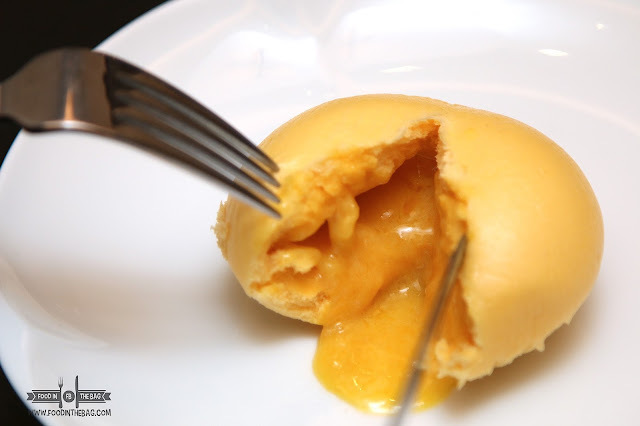 Special caution though must be issued when eating the custard buns with egg yolk. If you bite it the wrong way, the liquid might escape and squirt out. 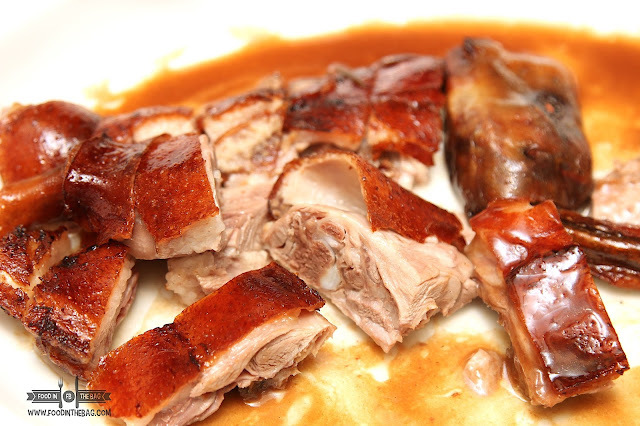 MANHO is the place to have your ROASTED GOOSE FIX. 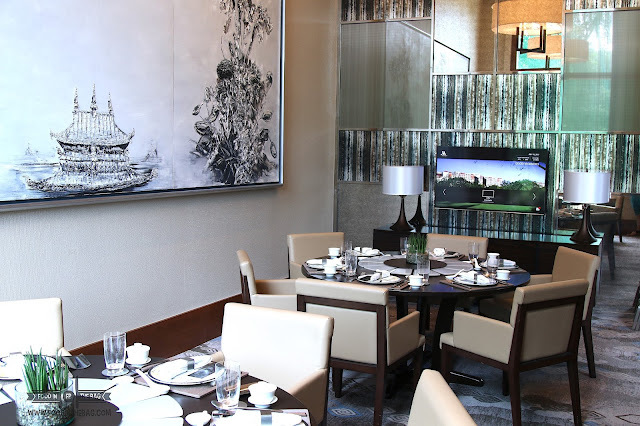 Aside from the main dining area, they also offer private rooms that would cater to your needs.